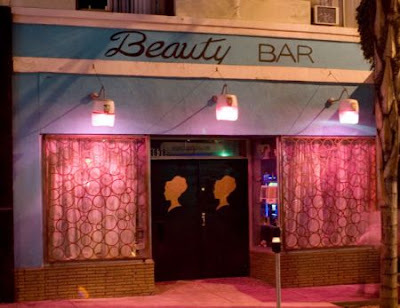 My favorite part of the bachelorette party was our stop at the Beauty Bar on LA's La Cahuenga corridor. 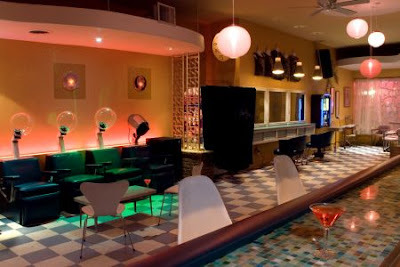 It's a small little bar/club that offers drinks, dancing, manicures, and henna tattoos. After the bartender whipped me up a pretty delicious virgin concoction, I headed over to the manicure station to get my nails done. I then hit the dance floor, where I conveniently incorporating the waving of my hands to dry my nails into my regular dance routine. 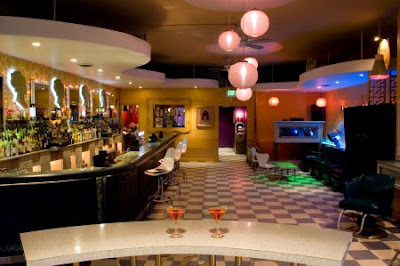 The interior of this place was something right out of the 60's. 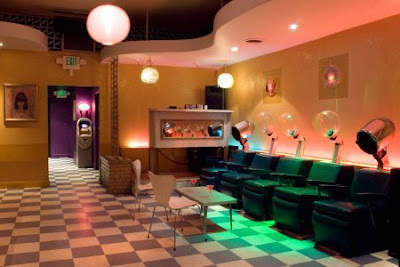 Which makes sense, since the owners retrofitted the space with a mid-sixties salon interior salvaged from Bakersfield. 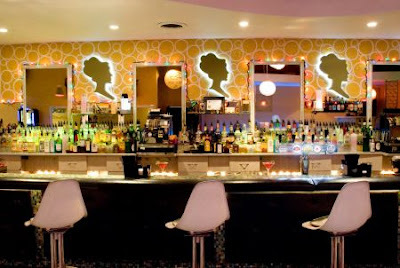 Because the bar has a retro vibe, it draws more of a hipster crowd (and surprisingly more guys than girls) and a wider range of dance tunes than your normal clubbin' atmosphere. I enjoyed every minute!